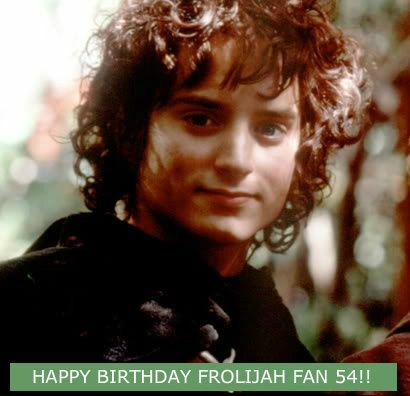 Wishing frolijah_fan_54 a very HAPPY BIRTHDAY!! Hope you're having a great day - sorry we don't get to see you round here much lately. Thanks so much for the birthday wishes and that pic - LOVE that expression on his face!! You helped to make my birthday so wonderful and it means so much to be remembered even though I've been so absent.